6. “I have looked at you in million of ways and i love you in each. 7. Thank you, my love, for always making me feel like that most beautiful woman in the world. मुझे दुनिया में सबसे सुंदर महिला की तरह महसूस कराने के लिए शुक्रिया my love . 9. “My world is full of your smiles whenever i think of you. 20. I”n love, no one is not deserving of a second chance. 22. “I fell in love with the same person over and over again. I guess there is only one person that my heart knew, and that is you. 25. “Being unhappy with someone is worse than being unhappy alone. 28. 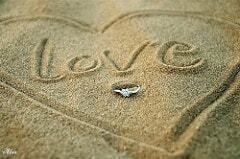 “Love is powerful weapon in any relationship. It can help you fight those who want to bring it down. It will strengthen not only your foundation but also your trust for each other. ← What Are the Symptoms,Types and Cause of Breast Cancer ?